With RSMembership! you have complete control over your subscribers. 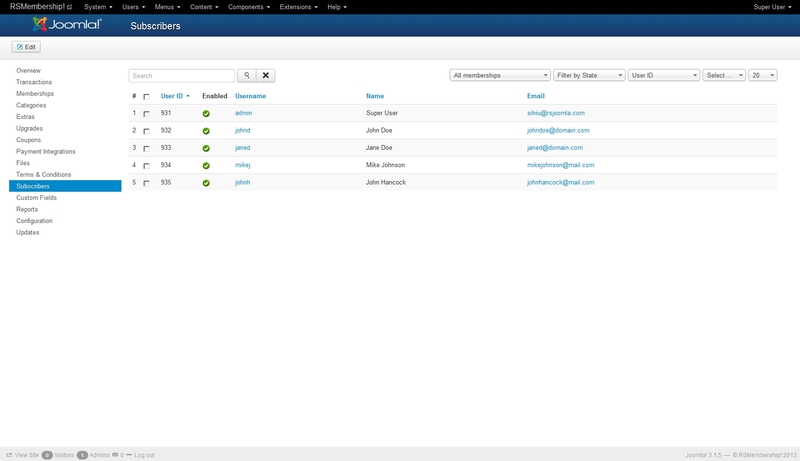 Our Joomla! 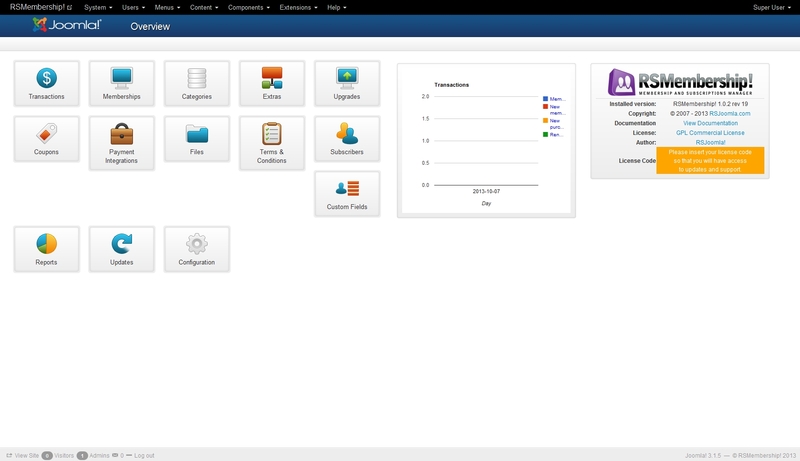 subscription extension allows you to manage the memberships, the customer transactions, and share various files and folders, Joomla! 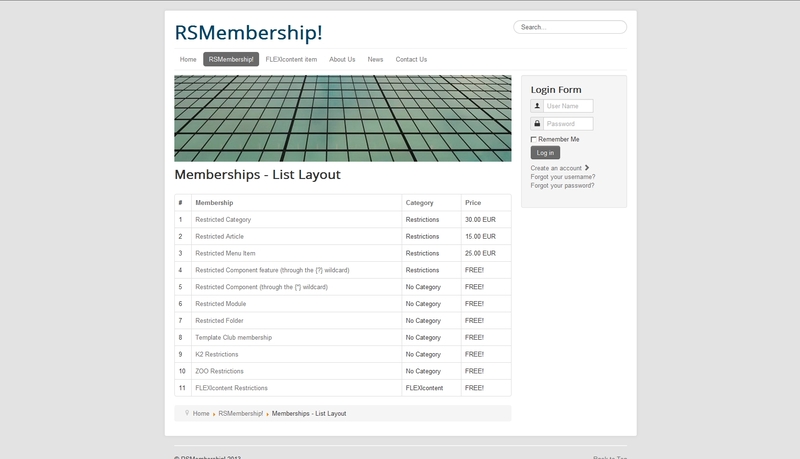 articles, categories and sections based on the memberships that you subscribe to. 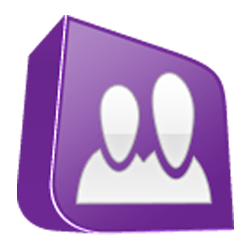 Categories - group your memberships into categories. 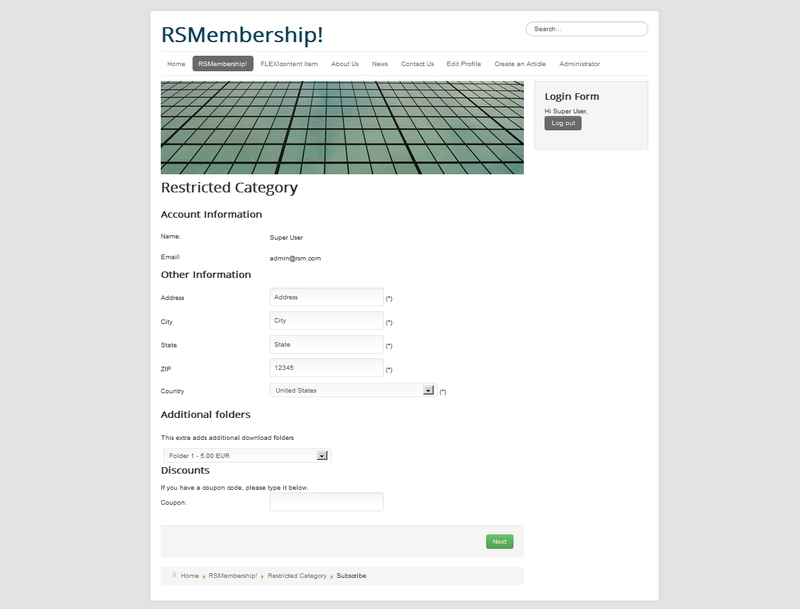 Automatic activation - user chooses a membership, pays, the payment gateway notifies RSMembership! of payment and he gets immediate access to your content. Restrict PORTIONS of your website with a simple syntax! Coupons - Setup discount as a percentage (%) or as a fixed value, choose an usage limit, start and end dates as well as to which categories it applies. 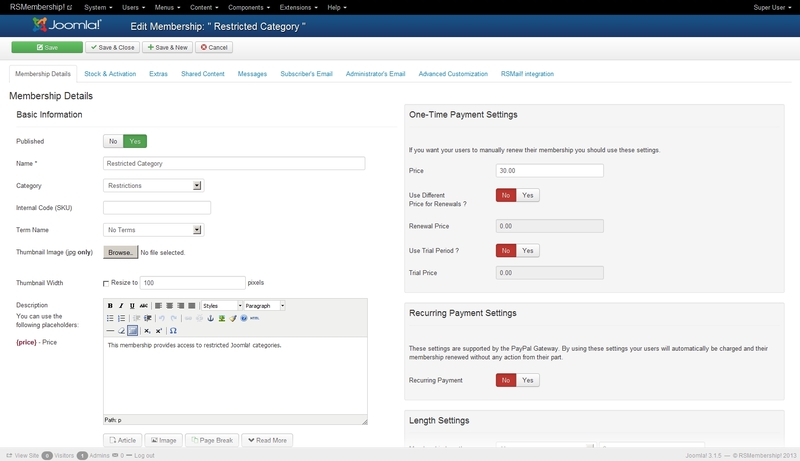 "One Page" checkout process - streamline your buyers' experience! Anti-spam features - Built-in CAPTCHA and reCAPTCHA. iDevAffiliate - Track affiliate sales. 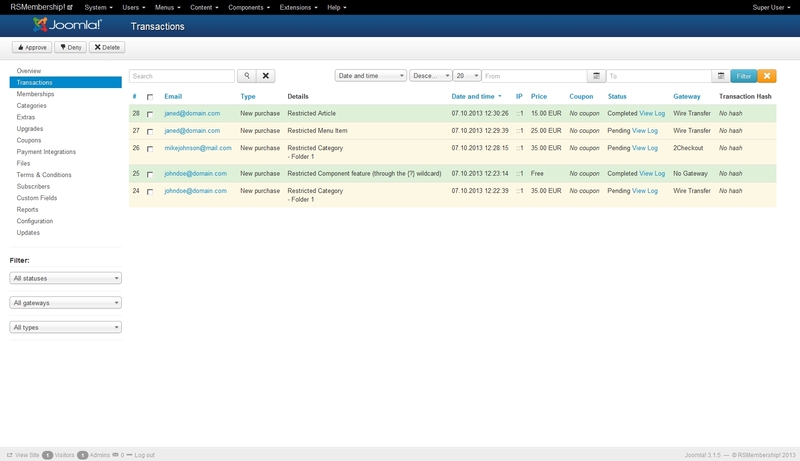 K2 - Restrict articles, categories and user blogs. 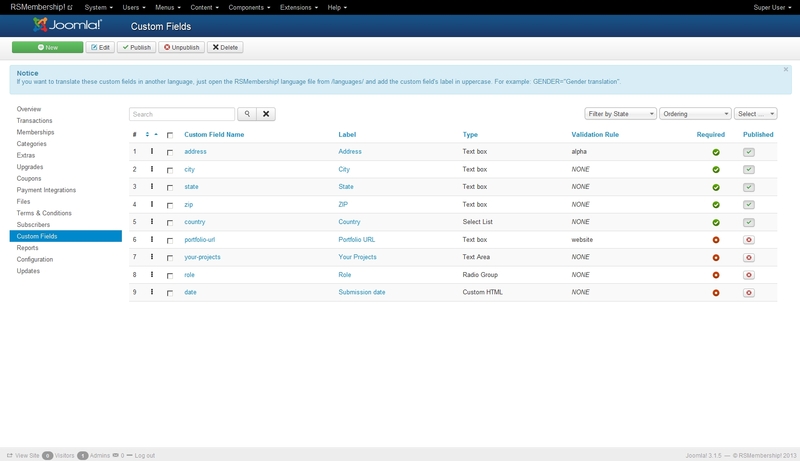 FlexiContent - Restrict articles & categories. ZOO - Restrict articles, categories and applications.